Google will never stop to surprise us. 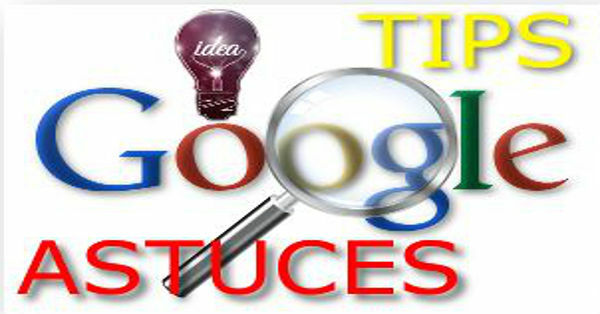 In this article we will discover the hidden Google tips and tricks also known as “Google Easter Eggs”. If a Website is down, you can access to the cached version of Google. If you want to access a website temporarily down, know that Google gives you access to the latest version in the Google cache. For that make a search of the desired website in the search engine Google and click the arrow next to the site and select "Cached". And you will access to the last saved version in the cache of Google. With The "Similar Pages" Function you will get a list of sites in the same field. Google can find for you the websites similar to a website. If you are looking for a site similar to a site that interests you. Click the arrow next to the site and select "Similar Pages". You will access a list of similar sites. For example if I type IKEA and next I click on the arrow on the right of the link and I select in the drop down list "Similar Pages" I get a proposal of sites in the same field! Google offers a calculator. You just have to type the mathematical operation in the search bar and Google will do the operation directly for you. Use the Google Graph Calculator to trace your functions. Google trace for you the math functions. Also you can zoom, un-zoom, and crop the graphic. Google helps you to convert currencies. To do this, simply type the operation directly into the search bar. For example if I want to convert 10 euros in US dollars. I type 10 euros in USD. Google replied 12.2295 magic, no? Google converts your measurement units. Google gives you directly the time of any city in the world. If you want to know the time of any city in the world directly type in the Google search bar hour and then the name of the city. For example, to know the time in New York just type: time New York and Google responds directly. For Bangkok time just type time Bangkok and Google replies. You can also type the abbreviation for the airport of the desired city. For example, for Bangkok airport time I can type time BKK and Google also responds directly to me. Google gives you directly all the information of a flight. Google gives you all the information of a flight. To know the status of a flight, simply type the flight number into the Google search bar, Google will provide you with all the information directly on that flight. This trick is useful to be aware of possible delays of flights and will be helpful if you have to move to the airport to wait for someone. Then Google tells me straight down the search bar! Google gives you directly the weather of any city in the world. And Google responds directly underneath with the weather in your city. If you want the weather to a specific city just type: weather and the name of the city. Google gives you directly translation in any language! To translate text from any language to any other language, type in the Google search bar: translate. Then type the desired text in the spreadsheet that appears just below. Type "Google Gravity" into the Google Search Tab and your Google results page will collapse. Type "Do a barrel roll" into the Google Search Tab and your Google results page will make a Barrel Roll! (360°). Type "tilt" into the Google Search Tab and your Google results page will tilt! Your Google search results page will switch on the side. Type "atari breakout" into the Canadian Google Search Tab (www.google.ca) and you will access directly to the famous Game in the results page. Type "zerg rush" into the Google Search Tab and you will access directly to the famous Game in the results page. Bacteria will attack the search results and you have to destroy them with your mouse. Type "48 52.6's 123 23.6'w" into Google Maps Tab and you will see the Nemo Point. It's the maritime pole of inaccessibility, the point in the ocean farthest from any land mass. It is located in the Pacific Ocean. With Google Sky you can see the sky ! Google Sky allows you to visit the space from your living room! For this Google Sky simply type into the Google search bar. With Google Mars you can see Mars! Google Mars allows you to visit Mars in your living room! To do this simply tap Google Mars into the Google search bar. Click on this link http://elgoog.im/ and after click on "UnderWater" Button and you will be underwater! Click on this link http://elgoog.im/ and after click on "Terminal" Button and you will be on the Google Terminal! Click on this link http://elgoog.im/ and after click on "Pac Man" Button and Google will launch directly the Famous Game "Pac Man"! Click on this link http://elgoog.im/ and after click on "Guitar" Button you will be able to play and record guitar! Type "1.2+(sqrt(1-(sqrt(x^2+y^2))^2) + 1 - x^2-y^2) * (sin (10 * (x*3+y/5+7))+1/4) from -1.6 to 1.6" in the Google Search Bar and you will see a 3D Ester Egg. Type "sqrt(cos(x))*cos(300x)+sqrt(abs(x))-0.7) *(4-x*x)^0.01, sqrt(6-x^2), -sqrt(6-x^2) from -4.5 to 4.5" in the Google Search Bar and you will see a 3D Ester Egg. Try one or more of these Google tips and tell us in the comments what you think?